Thunderstorms swept across western India killing at least 50 people and leaving widespread damage, destroying communities and crops in at least 4 states. 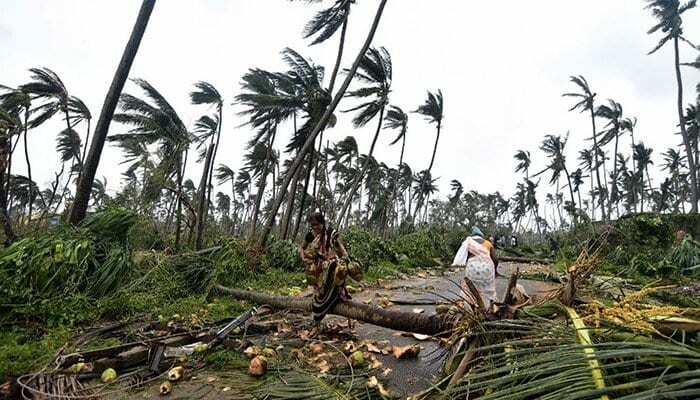 Strong winds pummelled through Rajasthan, Gujarat and Madhya Pradesh state battering walls, displacing trees and uprooting anything else that was in its path. Officials said victims were hit by lightning, falling trees or electrocuted by power lines. Strong winds and sudden rains also hit the capital, New Delhi, bringing searing summer temperatures down by 10 degrees. The storms forced the cancellation of several political rallies as India´s national election gathers pace. The wind blew away a tent that was to have been used for a rally by Prime Minister Narendra Modi at Himmatnagar in Gujarat. More than 125 people were killed in a wave of storms that battered northern Indian states in May last year. The thunderstorms, linked to climate change, have also been equally as destructive in neighbouring Pakistan killing at least 25 people this week. A survey of crop damage is underway and families of the victims have been promised financial support as well as individual assessments for the farmers who have suffered crop damage.